Tag Archives for " india "
Food dehydrators are gaining in popularity, but what must you consider before buying a dehydrator in India? As people become aware of the chemicals added to fruit snacks and dehydrated snack options from sliced apples to bananas and apricots are becoming increasingly popular for people across the world such as America and Australia. Several brands of dehydrators are made in the US. These include Nesco, Excalibur, L'Equip and many more. 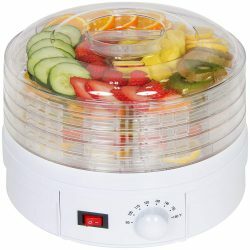 All these dehydrators come with their own benefits and drawbacks.